What makes the Feist dog so unique? 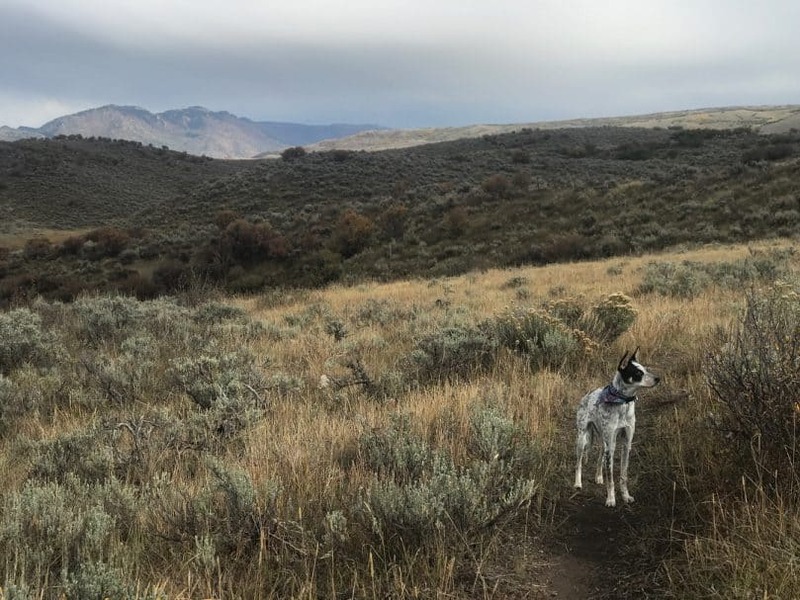 In this post, we’ll learn all about this gallant breed and why it’s an awesome pet for dog owners who love to be active and enjoy the great outdoors. What’s the difference between the Mountain Feist and Treeing Feist? 5. Got Rats? Get a Feist! Throughout history, several references have been made about the Feist dog in literature and films as well as by prominent figures such as George Washington and Abraham Lincoln. What’s heralded is this dog’s bravery and loyalty. Lincoln, who grew up in rural Kentucky, wrote a poem entitled “The Bear Hunt,” which mentions the Feist and it’s small size, yet incredible ferocity shown during the hunt. These dogs were more than just farm dogs. They were appreciated for their tenacity during times of rough rural living and became cherished family members. This dog has been around for awhile. It’s believed to have been descended from Native American dogs that were mixed with terriers brought over to the US from Great Britain. Feists have been documented from as early as the 17th century. These are squirrel dogs that were used mainly to hunt rodents. They are known to track and not retrieve, chasing their prey until it is “treed” or barricaded in a tree with no escape while the triumphant Feist circles below making a great hullabaloo until its owner can shoot. The Feist is a rambunctious small to medium sized dog looking forward to an adventure in the great outdoors. What do you get when you team up with this breed? These are some of its most notable traits. Dependable: When you embark on that late evening walk through the park, this dog is all ears. While she trots by your side, she’ll be alerted to any squirrels in the vicinity and will quickly let you know it. Friendly: The Feist takes her role as man’s best friend seriously. This is a loving dog who lives to please and she’s not aggressive by nature. Intelligent: Bred to hunt, this dog is sharp as a knife with impeccable senses to boot. As a hunting dog, she learns to follow commands quickly and master the art of the chase. Spirited: Energetic and fearless, the Feist isn’t one to shy from a challenge- especially if confronted by a squirrel. It’s best to keep her on a leash if you head out into an area where they’re present, or else the Feist’s natural hunter instincts might lead to you chasing her. This breed boasts a ton of personality. It does have heaps of energy though, so keep that in mind if you’re looking for a dog that is more laid back or a homebody. The Feist does well with individuals who like to spend time outdoors as well as retirees or older folk. They are a good match for families with children too. The Feist dog may only grow to around 20 inches (50 cm) in height and can weigh up to 30 lbs (13 kg), but they are muscular and agile. Besides their smaller stature, these dogs don’t have much consistency to their looks. 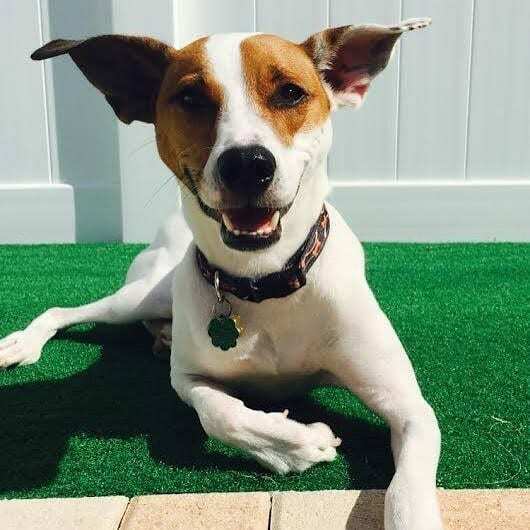 Their genetic makeup is a muddled mix that comes from the Jack Russell Terrier, Smooth Fox Terrier, Manchester Terrier and the White English Terrier (which is extinct). 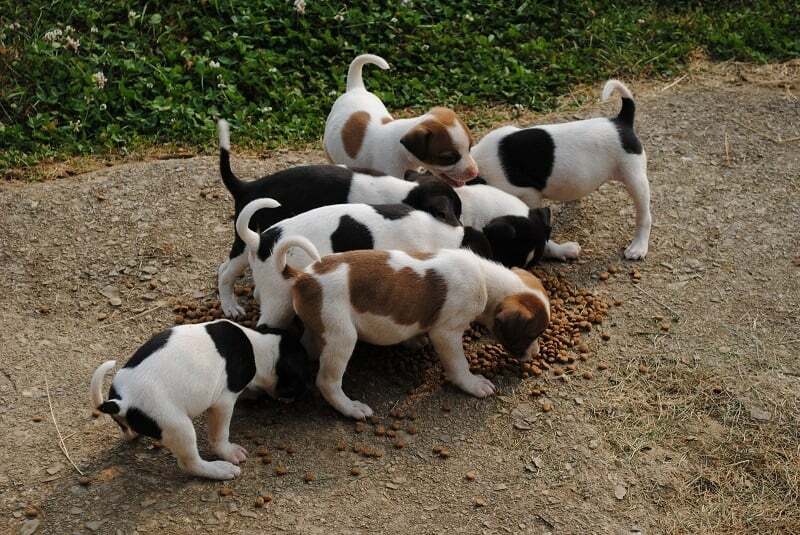 They have short-haired coats that are low-shedding and come in a variety of parti or tricolor combinations such as black & tan, blue & white, red & white, brindle and black. The Feist dog is not hypoallergenic. Due to such a grand mix of genes, this breed isn’t identified by its appearance, but rather its hunting ability and temperament. With that being said, over the years numerous Feist types have been noted, falling under main two: Mountain Feist and Treeing Feist. There are no main distinctions that differentiate the two. In fact, it’s a topic that frequently comes under heated debate amongst squirrel dog fans. Some say the size is what makes them different, while others claim there is no physical difference between the two at all. Instead, it can depend on where the Feist in question comes from. These two breeds are often mistaken as the same, especially in dog shelters, but they couldn’t be any more different. True, they may look similar, but it’s all in the details. A Feist sports a soft, smooth coat of fur while a Jack Russell’s fur is coarse. Feists generally have longer legs and a shorter tail. The temperament is also a contrasting factor. While both dogs are high energy, the Feist retains calmness and is known to be peaceful when not hunting. 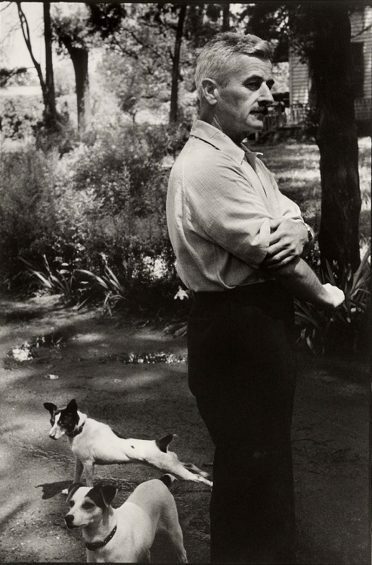 Jack Russells are known to be more frenetic and combative by nature. Loyalty is what a Feist is all about when it comes to temperament. They love family and will do anything to please. Friendly and gentle, this dog is excellent and trustworthy around children. Although they pack a punch when it comes to energy, what sets the Feist apart is its ability to adapt its behavior. As a hunting dog, the sense of smell, sight, and hearing is highly sharpened, making this breed in-tune with its surroundings. It also knows when it’s time to play and time to calm down. The Feist is not the least bit boisterous unless it’s chasing a squirrel up a tree. When it comes to strangers, those Terrier instincts will have them alerting you to anything they deem suspicious. This is especially handy if you have a rat problem. Feists have been known to be used for pest control, and they take their job seriously. Much better than having to use toxic chemicals, right? When your bloodlines have been shaped from decades spent in the rural wilderness of the South, it builds up a strong disposition! Of course, as with every breed, the Feist isn’t Superman. Watch out for hip dysplasia and allergies, which are common health problems that you should observe. When you purchase a Feist, inquire about the health of the puppy’s parents and a medical history. Ramp up the exercise and healthy dry food! Feists are intelligent and energetic, so mental and physical stimulation is a huge must. If you’re not the hunting type and don’t live on a sprawling farm, no worries. The Feist does well in apartment settings, just make sure it gets 30 minutes of exercise each day. Keep your Feist healthy with these fun activities! The Feist is a delight to train and learns quickly, as it is eager to impress and produce superb results on the hunt. Considered to be highly intelligent, it exudes a natural confidence that makes it a joy to teach new commands and tricks. Check out this little guy nailing one trick after another! This breed gets its hunting instincts from the Terrier side, but with that comes a knack for being territorial and showing skepticism towards strangers that come onto the family turf. This is usually displayed with barking. Curb territorial barking with early socialization to help your Feist get used to being around other people and pets. Has the squirrel dog won your heart? It truly is an exceptional breed with a huge personality and free-spirited soul. If you’re set on making a Feist puppy your very own, here’s what to expect. First off, a Feist will cost on average around $300 to $400. When you meet with breeders, be sure to ask about lineage and health. Feist dogs can come from a variety of backgrounds and there are many breed combinations. Learning about the parents can help answer questions about health problems or give insight into future appearance, size and temperament. She jumps, she leaps, she speeds across the land at lightning speed! The Feist is an active dog that loves to be outside and hunt. 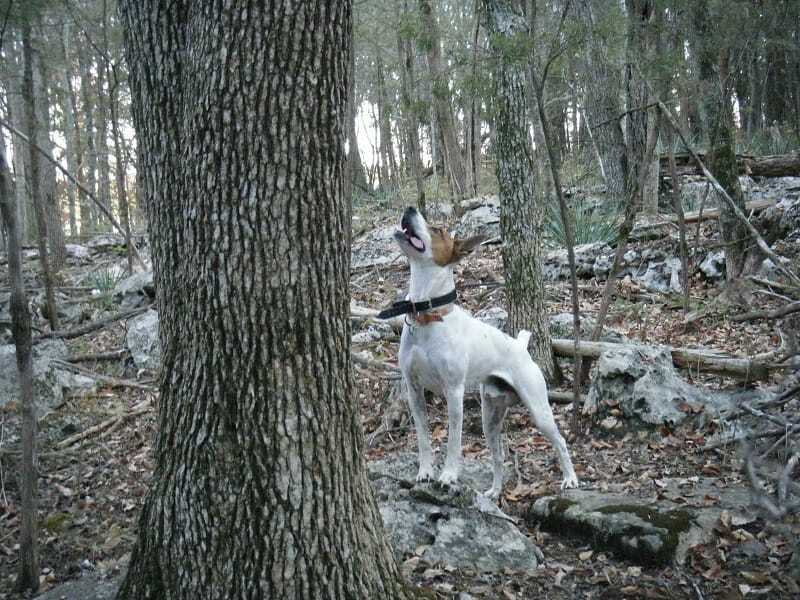 It’s Terrier roots lend to its hunting prowess, making it an easy dog to train. But, it can also be territorial, which can be curbed with early socialization. The Feist dog is small, but it certainly is hardy when it comes to health. Just watch out for hip dysplasia and allergies. Overall, this dog makes a wonderful addition to the family. It does well around children, is loyal, protective and loving towards humans. What do you think about the Feist dog? Tell us in the comments!